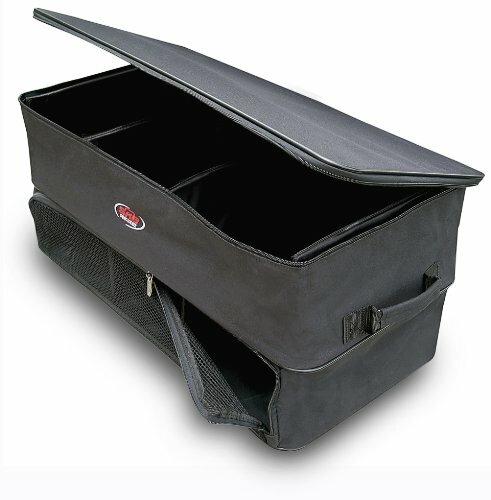 The Cargo Locker from SKB is the smart solution to your trunk woes. Heavy-duty canvas construction, easy-pull oversized zippers, and rigid interior dividers create easy-access storage compartments. Reinforced lift handles on both sides allow for easy transport. The lower level triple shoe closet has a front mesh panel to allow constant ventilation. This cargo locker works wonders in all kinds of trunks and back seats.